A look at a few releases of the On Track book series. 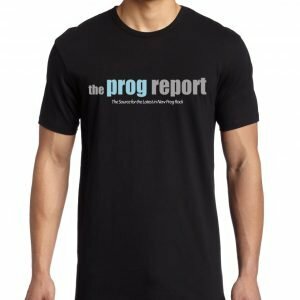 In late 2017, Sonicbond Publishing launched a series of books which will appeal to many who read this website, and whose 2019 release schedule covers a lot of prog artists. The “On Track…” books boast on their covers “Every album, every song” and that’s exactly what you get. I was drawn to the series by the early volume about Yes and even though the band are quite well served by books on the market, there isn’t a widely available book like this. So often in rock publishing, there is a bias towards the founding years, or perhaps, the most commercially successful eras. 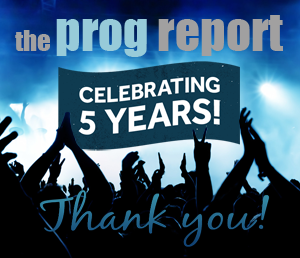 As a fan of Yes’s music throughout its 51 years, what attracted me to this one was that each album release and each track gets its own place in the spotlight. In addition, the Yes book looks at the bonus tracks on the Rhino releases, related singles or releases that weren’t on albums, and, whether you like it or not, there is even a chapter dedicated to the tracks that emerged from the 1979 Paris sessions. The commentary on each track isn’t in a set format, which means the book has a lot of variety. The author will talk about the song, its context, the contributions of the players involved, the structure of the track, and sometimes comments on alternate/ live versions where appropriate. As a long term fan there was plenty here to hold my interest and enlighten me further. The volume on Queen, a band with a smaller catalogue of recorded material, allows the author to go into a bit more detail on some tracks – and not just “the hits”. It’s great to see the detailed examination of some of the deeper cuts within the catalogue, as well as commentary on the b-sides. Like the Yes book it includes a centre spread of colour photographs, but unlike the Yes book, it does not cover the many Queen live releases – however there is a chapter on the monumental Live Aid performance which certainly merits its place in the Queen story. The Deep Purple/ Rainbow book covers the albums released by both bands between 1968 and 1979, essentially, Ritchie Blackmore’s recorded output plus what his Purple band mates did after he left. The text is a great combination of musical analysis, band history, critical opinion and fun trivia. I enjoyed some of the detail behind the subject matter of several of the Gillan-era Purple tracks, including “Smooth Dancer”. The many line up changes are covered and explained, with a focus on what each band member brought musically, rather than focusing on the fall outs/ gossip. 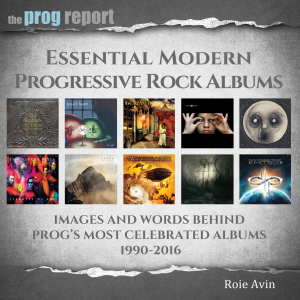 In 2019, SonicBond Publishing promise volumes on ELP, Genesis, King Crimson, Frank Zappa, Jethro Tull, Van Der Graf Generator and Toto, as well as The Beatles and The Rolling Stones. These books are a great primer for anyone wishing to delve deeper into the catalogue of the bands, while containing enough to hold the interest of long term fans. Overall they are well worth investigating.